This kit will allow you to remove your old fuel warmer and completely bypass it with the parts and instructions you will receive in this kit. You will receive enough quality fuel hose and hose clamps to install the kit in any model with a fuel warmer located below the injection pump. 6 hose clamps and a right angle pre-filter are included. You will have to measure and cut the fuel hose for your particular application. 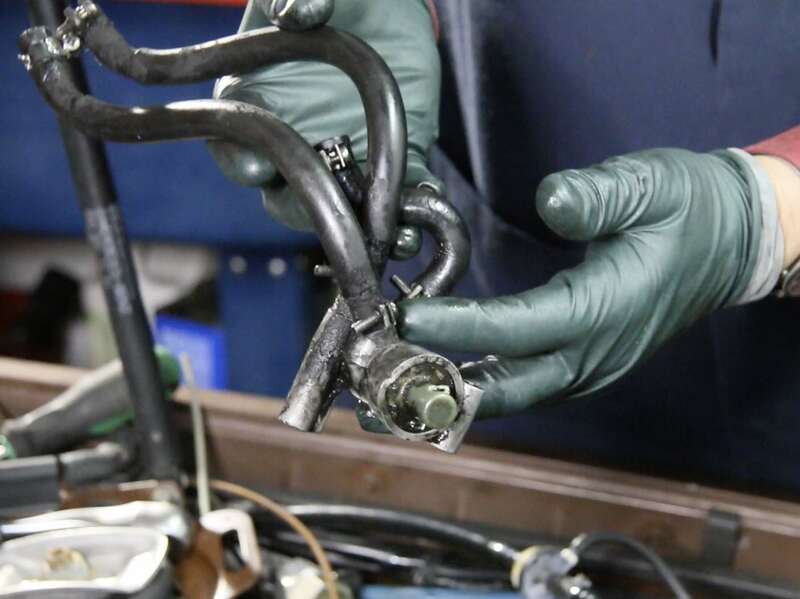 Make sure to do proper measuring and double check before cutting the fuel hose or there may not be enough extra for your to complete the repair. The brushes included in the kit are for cleaning the engine around the area where the fuel warmer is bolted to the engine. NOTE: Free video instructions are included with this kit or you can purchase this video separately. See related products below. Here is the old fuel warmer and hoses removed from the same engine. 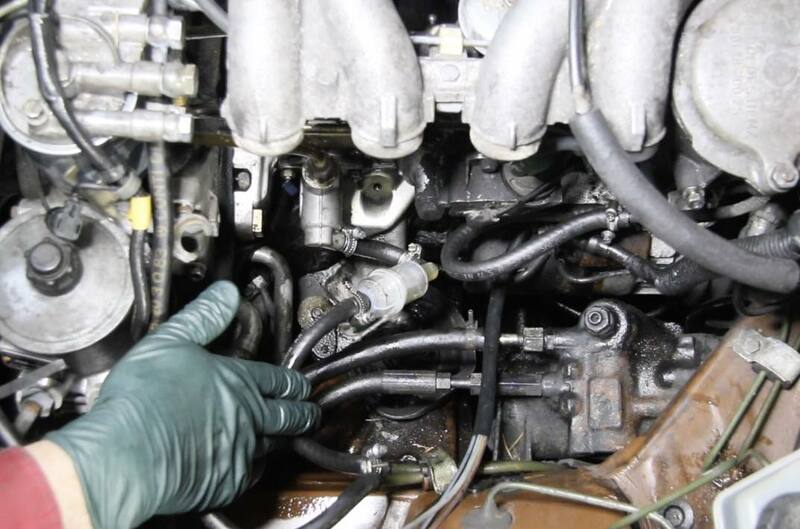 Mercedes installed small fuel warmers on these engines using engine coolant to warm up the fuel just before it enters the injection pump. The idea is great - especially in cold climates, but in moderate and warmer climates it is probably not needed.